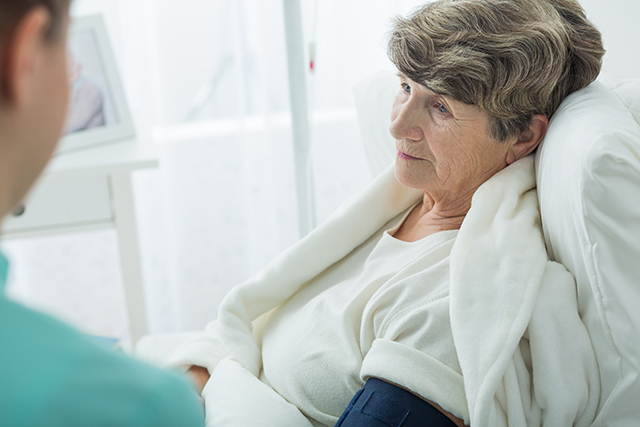 Caregivers for patients with cancer often report their own physical exhaustion and other symptoms. Caregiving for someone with cancer presents numerous challenges, but when the diagnosis is malignant brain tumor, caregivers may experience unique and complex challenges that differ from those experienced with other diagnoses. With the tumor site located in the brain, patients and caregivers face the challenge of managing not only physical symptoms but cognitive symptoms as well. Activities of daily living and cognitive abilities such as memory, language, motor skills, and mood can be impacted. Adverse effects of treatments — radiation, chemotherapy, surgery — may add additional challenges. These physical and cognitive changes have a significant impact not only on the patient, but on the caregiver as well. An estimated 23,800 malignant brain tumors will be diagnosed in 2017.1 Although there is not a vast amount of research on caregivers of persons with a primary malignant brain tumor, the existing research provides important insights on how to best address the challenges faced and improve caregivers’ preparedness. A literature review conducted in 2015 identified a total of 36 descriptive and 6 intervention studies on factors contributing to caregiver distress. Its purpose was to open a discussion for future research and possible ways to improve health outcomes for caregivers. Findings suggest caregiver distress is related to economic burden, unmet needs, low levels of social support, spirituality, and caregiver mastery.5 Those of us who work with this unique population witness these findings first-hand. How can we address caregivers’ unmet needs and improve their health outcomes, as well as the patient’s? The literature review found that educational programs, along with therapeutic interventions, may help reduce caregiver distress.5 Taking into account these findings and variations in caregiver populations, a combination of interventive techniques are needed to address caregivers’ multidimensional needs and improve caregiver preparedness. Educational intervention is essential. Caregivers need to be engaged through programs that encompass individual intervention, workshops, and classes on diagnosis, treatments, and possible adverse effects. In addition, caregivers need structured educational programs on financial concerns, employment issues, legal issues, and other practical matters. Educational publications and websites that can be referred to provide a sense of agency and assuredness. Sarah Kelly is coordinator for Older Adult Services at CancerCare.